At Schumacher Chrysler Dodge Jeep Ram of Delray, we want your experience to always be positive. From the moment you step inside our showroom and find the latest Jeep Cherokee, Jeep Renegade, Dodge Charger, Chrysler 200 and RAM 1500 models on display, we’re here to help put you behind the wheel of the right new or used vehicle for you. But, we don’t consider that the end. 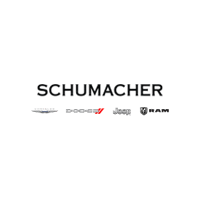 Schumacher Chrysler Dodge Jeep Ram of Delray offers a wide range of other services as well, which you’ll experience from the moment you choose your next car. For instance, our team of Chrysler, Dodge, Jeep and RAM lease and loan specialists make it a priority to help you drive home in the vehicle you’ve chosen on your terms. Now that's a collection! We love seeing Jeep representing at Cars & Coffee Palm Beach! The 2019 Jeep Wrangler was named by MotorTrend SUV of the Year!